One of the more community-minded towns in the Twin Cities area is Chaska, the municipality that strives to be the “best small town in Minnesota.” Located just thirty miles west-south-west of Minneapolis, Chaska is a community that works hard to assist those in need and focuses on serving its less fortunate and elderly residents through various community service programs, organizations and initiatives. Much like many other progressive communities within the Minneapolis-Saint Paul metropolitan region, Chaska also has a pointed eye on conservation and the preservation of the environment, which through the city’s parks and recreation amenities, encourages a strong bond between the community and its natural resources. Also being home to one of the best public golf courses in the Twin Cities, Chaska is a great place to not only live and work, but a terrific place to play. There are many parks and trails to enjoy, as well as numerous sporting options and summertime festivities to partake in; from the Chaska Curling Center to the annual River City Days celebration. And when the playing is done, Chaska’s terrific school system keeps the city’s youth engaged in the learning process, while ensuring that the town’s senior citizens are well taken care of and additionally, Chaska promises to welcome its newest residents and tourists with open arms. It is always reassuring to find that a community is open and welcoming to out-of-towners, whether they are just visiting or planting their roots in the community. It is hard enough as it is being a stranger in a strange land, so any extended olive branch on the local level is always helpful. That is why it is exciting to know that there are many opportunities and services available to a Twin City newbie, that will surely help get them assimilated into their new environment. 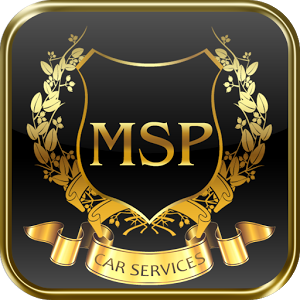 With exceptional punctuality and an attractive fleet of Lincoln Town car, Cadillac and Mercedes sedans, you will quickly learn why the preferred limo service in Chaska is MSP Car Service.